Professor Colvin Goonaratna was born in Moratuwa, and had his primary education at Prince of Wales’ College, Moratuwa and secondary education at Royal College, Colombo. He entered the University of Colombo in 1956 and qualified MBBS in 1962 with upper second classes in all professional examinations including the final MBBS. After the internship year at the then General Hospital Colombo, he served in various state hospitals in the island before joining the Department of Physiology of the Faculty of Medicine, Colombo in 1970. He proceeded to the UK in 1970, where he was a Clinical and Research Fellow in the Department of Medicine of the University College Hospital in London, under Oliver Wrong, Professor of Medicine at University College Hospital, a leading UK medical researcher, and a world famous nephrologist. In three years, by end 1973, he obtained the MRCP (London) and a PhD in nephrology, with exemption from the viva voce (a rare privilege), confirming him as a specialist physician and a specialist physiologist. He was conferred the FRCP (Edinburgh) in 1989, and the FRCP (London) in 1991. He is also a Fellow of the National Academy of Science, and the Ceylon College of Physicians. He has been awarded Fellowships, Honoris Causa, by the College of Surgeons of Sri Lanka, and by the College of General Practitioners of Sri Lanka. The University of Colombo awarded him Doctor of Science degree, Honouris Causa in 2005. Professor Goonaratna has held the following positions in the course of his long and distinguished professional and academic career. Professor and Head, Department of Physiology, Faculty of Medicine, University of Ruhuna. Professor and Head, Department of Physiology, Faculty of Medicine, University of Colombo. Member of the Board of Management of the Postgraduate Institute of Medicine, University of Colombo. Member of the Senate, Universities of Ruhuna and Colombo. Chairman, State Pharmaceuticals Corporation of Sri Lanka, 1994 – 2001. Member of the Council, University of Kelaniya. Member of the Constitution Council of Sri Lanka 2004 – 2006. President, Galle Clinical Society 1988 – 89. President, Sri Lanka Medical Association, 1996. General President, Sri Lanka Association for the Advancement of Science 2003. Editor Ceylon Medical Journal 1988 – 2004. Editor, Sri Lanka Prescriber 1993 – to date. 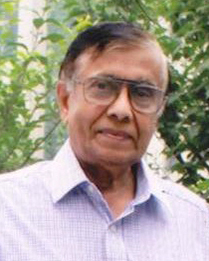 Founder Chairman, National Clinical Trials of Sri Lanka – to date. Member, Sri Lanka Medical Council 2013 – to date. Visva Prasadini, Hon Prime Minister’s Award for Services to Medicine and Medical Education, in 1996. Vidya Jyothi, Highest National Award for Science, in 2005. Professor Goonaratna has been appointed a short term Consultant to W.H.O. on several occasions, and as an Advisor to the Director WHO on several occasions. He has served as a short term Consultant to the World Bank in 2011. Professor Goonaratna has lectured to Postgraduate Students in Surgery, Gynaecology and Obstetrics, Ophthalmology and Dental Sciences at the Postgraduate Institute of Medicine for over 12 years, and has been an Examiner in these above examination for over 12 years. Author and Editor. Physiology and Biochemistry in Clinical Medicine, Professors Colvin Goonaratna and Ira Thabrew. M.D. Gunasena 1989. Editor and author. Gastroenterology Update. Dr Colvin Goonaratna and Dr H Janaka de Silva. Vijitha Yapa, 1993. Author. A Doctors’ Quest for Justice. Professor Priyani Soysa Vs Rienzie Arsecularatne. Vijitha Yapa, 2004. Author and Editor. Multiple Choice Questions in Haematology. Professor Colvin Goonaratna and Dr Arundathi Kurukulasuriya Sarvodaya Vishva Lekha. 2005. Editor. Sri Lanka Patients’ Formulary. Professor Colvin Goonaratna, and Drs Chamarie Weeraratne and Manuja Weerasinghe. Ananda Press, 2010. Author and Editor. Medicine in the Elderly Volumes 1 and 2. With Drs Achala Balasuriya and Piyusha Atapattu. A multi-author 2-volume publication. Ananda Press, 2011 and 2013. Professor Goonaratna has over 40 publications, including invited editorials in peer reviewed journals, including the British Medical Journal, Clinical Science and Molecular Biology, Journal of Evidence Based Medicine, Ceylon Medical Journal, Indian Journal of Physiology and Pharmacology, and Medical History (London). Some of these with co-authors.